The trend of cricket is continuously increasing worldwide due to its massive promotion in India. Here you can see a huge fan base that supports cricket as India’s most favourite game. Consequently, various formats and trophies come into existence. In the list of big tournaments, Asia Cup is one of the most renowned series. As the name is illustrating, only Asian countries take part in it. The first tournament was started in 1983-84 and after that, total number of 13 series took place in different countries. As a true fan of cricket, you must be aware of the Asia Cup cricket winners list. There are countless multimedia applications available for android platform but from inside, all are same. If you are looking for an app that is specifically designed for searching online videos then Snaptube is the best option. 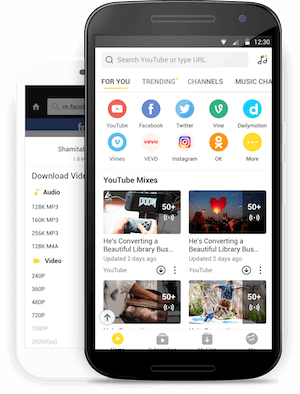 The users of Snaptube can watch and listen to any video in different formats such as mp4 and mp3 without requiring any additional converter. It has a user-friendly interface that you can organise according to your preferences. Whether it is live streaming or general entertainment site, Snaptube can run all of them perfectly in different desired resolutions. This was a triangular series played between India, Sri Lanka and Pakistan. It was organised in the United Arab Emirates which was the most favourable destination of cricket at that time. A total number of three matches were played in this tournament and India won it by defeating Pakistan. In the last match, Indian team scored 188 runs by losing 4 wickets but the whole team of Pakistan went clan swept in 134 runs. The famous garment brand John Player sponsored this series in which Pakistan, Bangladesh and Sri Lanka took part. The series was started from 30 marches with a match between Sri Lanka and Pakistan. Lanka loses it by 81 runs. The final was again played between same teams but Sri Lanka managed to win this time by 5 wickets. This was the first time when more than 3 teams took part in Asia cup. At this time, Bangladesh was the host where all matches took place. Apart from that, India, Pakistan and Sri Lanka were participants. Again Indian team won this series by scoring 180 runs from 4 wickets. Within 47 remaining balls, the Sri Lankan loses all wickets and India won by 6 wickets. This was the tri-series of Asian countries played between India, Bangladesh and Sri Lanka. In 1990, it was the first time when India hosted the Asia cup. A total number of four matches were played between three teams. Just like the previous one, India also won this series by defeating Sri Lanka. This time, the margin of winning was of 7 wickets. Indian team chased the score of 204 runs and finished the match in 43 overs. After the interval of four years, the next series of Asia cup was organised in the United Arab Emirates. This time, there were four teams in tournament including India, Pakistan, Sri Lanka and Bangladesh. A total number of 7 matches were played in this series which was won by Indian team third time continuously. Again Sri Lanka remained semi-finalist due to a defeat by 8 wickets. The sixth Asia cup series was hosted by Sri Lanka in 1997 where previous four teams were the contestants. It was a set of 7 matches in which Sri Lanka finally took revenge of its continuous defeats. By defeating Indian team, Sri Lanka won the series by 8 wickets. This was the first time when Pakistan won any Asia cup series. All matches of this tournament were played in Bangladesh where India and Sri Lanka were also contestants. India was eliminated in the third match by Sri Lankan team. In final, Pakistan beat them by 39 runs. Apart from the four oldest teams, Hong Kong becomes the new contender of Asia cup in 2004. All matches of this series were divided for the pitches of Sri Lanka and the United Arab Emirates. In their debut, Hong Kong didn’t manage to win any match but India reached in the final. In the last match, Sri Lanka’s score was 228 for 9 wickets consequently they won by 25 runs. This series was organised by UAE and Pakistan with joint efforts where all five teams of last series took part. On 24 June, it was started from the ground of Lahore and ended in Karachi. Again India and Sri Lanka were the finalists and India list this match by a great margin of 100 runs. In 2010, the team of Hong Kong withdraw its name and again only four contenders remain in the series. This time, the host was Sri Lanka who continuously won almost every match till reaching the final. In the final match, Indian team beat them by 81 runs and took revenge of previous defeat. Bangladesh becomes third-time host of Asia Cup matches in 2012. A total number of seven matches were played where Pakistan and Bangladesh reached final. It was a very close match that Pakistan won by just 2 runs. The first introduction of team Afghanistan in a big cricket tournament was seen in 2014. They played this match on the grounds of Bangladesh and managed to win one match against host country. The final match against Pakistan was won by Sri Lanka with 5 wickets. Bangladesh was continuously hosting Asia Cup for the third time in 2016. It was the biggest series ever in which Hong Kong, UAE, Oman and Afghanistan took part with old teams. It was a series of total 10 matches that India win by 8 wickets after defeating Bangladesh in Asia Cup Cricket 2016 Final.